Inspired by voters in Chicago and Cleveland who booted top prosecutors last week with candidates who pledged more accountability in police shootings, Houston-area Black Lives Matter activists have started a #ByeDevon social media campaign to try to oust Harris County District Attorney Devon Anderson. 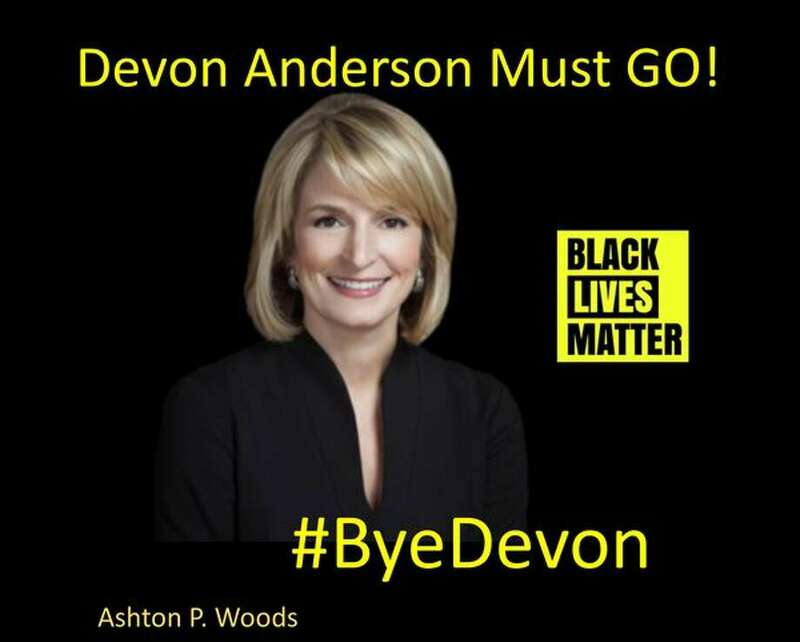 #ByeDevon, which appears to have debuted on Twitter last week, was shared and retweeted by individuals involved in local Black Lives Matter efforts as well as people who questioned the handling of the Sandra Bland incident and Houston-area members of the National Black United Front. Anderson has drawn criticism for her handling of police shooting cases and for the lack of indictments against police officers who injure civilians. And activists have demanded an apology from Anderson for comments she made the morning after Harris County Deputy Darren Goforth was killed last year. Anderson won the Republican primary earlier this month and is facing a rematch with Democratic challenger Kim Ogg in November. Ogg said she welcomed the support. Here’s the view on Twitter. Looks like the first use of the hashtag for this purpose was March 16. A subsequent post notes that ByeDevon.com has been acquired, so look for that at some point. This is modeled on the #ByeAnita hashtag used by Chicago activists in ousting the State’s Attorney who had not acted in the Laquan Edwards shooting. That was a primary, and this is a general election, but the idea is the same – to engage and turn out people who care about the issues involved. This is a Presidential year so the turnout issue is different than it would be otherwise, but there is unquestionably room for growth. We’ve been a 50-50 county in the last two cycles; a few thousand votes here or there could make a huge difference. And the audience for this activism is primarily younger voters, always a good thing for Dems. I’ll be keeping an eye on this. Thanks to Houston Legal for the link. UPDATE: More from Texas Monthly. A Twitter poster who called Wendy Davis an “idiot” and “retard Barbie,” and said Greg Abbott would demolish her in the governor’s election, got a thank-you from Abbott’s campaign also via Twitter. The exchange prompted a flurry of people on Twitter to suggest that Abbott should have refuted the offensive language instead of giving a shout out to the poster. FYI: I thank supporters on Twitter, but I don't endorse anyone's offensive language. Stay positive. Nor, apparently, will he condemn such language – and remember, even Sarah Palin considers the word “retarded” to be offensive. Look, Greg Abbott isn’t responsible for what a troglodyte like that has to say, but once he engages with him like that, it’s fair game. Abbott could have easily ignored him – it’s not like being tweeted at demands a response – but if he does choose to respond, the nature of his response, and what wasn’t said, is open to scrutiny. I will simply note that one of the keys to a Wendy Davis victory next year is a nice, big gender gap. It’s fine by me if Abbott and his Barbie-obsessed Twitter supporters keep on doing their best to make that happen. An Abbott source who spoke on condition of anonymity said the attorney general did not read the full message (and in particular, the offensive language) before expressing his gratitude. What, was the tweet too long for him to make it all the way to the end? Maybe Twitter needs to reconsider that 140 character limit. Texas Politics, BOR, and dKos have more. UPDATE: Despite giving Abbott more credit than he deserves, the DMN editorial board nails it. Continuing my look at July 2013 campaign finance reports for city candidates, here’s a look at the reports for the two Contoller hopefuls, incumbent Ronald Green and challenger Bill Frazer. As Greg notes, that’s a pretty respectable haul by challenger Frazer. It comes with two qualifiers, however. First, about $9,600 of the total raised was in kind, all of which was listed as catering/food/beverage for a fundraising event. Second, anyone supporting Frazer should be concerned about his burn rate. More than half of the money he spent was for consulting services – $24,500 by my count, $4K of which came from personal funds. Consultants are necessary for a citywide campaign, and good consultants are certainly worth what they’re paid, but that’s an awfully big share of the pie to go to what is basically overhead. That’s a lot of money that’s not being spent on signs or ads or other forms of outreach. By comparison, Green spent about $8,500 on consultants, most of which was monthly retainers to his longtime campaign operatives. One could argue that Green isn’t spending enough on consulting services, or that he isn’t getting enough value for what he is spending, but I don’t know how to quantify that, and even if I could the bottom line remains that at this rate Green will have a lot more cash available to do actual voter contact. I know whose position I’d rather be in. Having said that, Green took in less than he did in the same period in 2011, when he raised almost $95K. Not sure what happened this time around. Beyond that, there was nothing terribly remarkable about either report. Frazer spent some money reaching out to Republicans, who will undoubtedly be a big part of his coalition – $1,250 to the Harris County GOP to sponsor a table at the 2013 Lincoln/Reagan Day event, and $1,500 to the Spring Branch Republicans to sponsor a table at the San Jacinto Day Dinner; both were made from personal funds – but I didn’t see any contributions to him from the usual Republican heavy hitters. Green, who did get $5K from the late Bob Perry, got the usual contributions from the usual PACs and law firms, as do most incumbents. He also spent $31.78 on Twitter advertising. I’ve seen many expenses for Facebook ads over the past few years, but these were the first I can recall for Twitter ads. Yet another new frontier has been entered. Thanks to Harold for finding this. Governor Perry won’t show up at a debate, but he is a presence on the Internet. The list of things that Texas Gov. Rick Perry and Bill White, his Democratic opponent in November, disagree upon is long. But on the subject of social media as a tool to reach voters, the candidates are in harmony. Although the campaigns differ in their online tactics, both say they began to buy into social media in a big way early in 2009 and they’re each giving it unprecedented time and resources. But the campaigns believe that their efforts — everything from off-the-cuff updates to more substantial efforts such as reactions to news stories, responses to voter questions and online videos — are giving Texans greater access to the candidates and delivering their messages to where the eyeballs are. The @GovernorPerry account has about 29,797 followers compared with about 4,621 followers for White’s @billwhitefortx. While Perry tweets enthusiastically, White has taken a liking to Facebook, where his official page had been “Liked” 137,871 times compared with 43,227 times for the official Rick Perry Facebook page as of Sunday evening. All of this is very interesting, and I’ve no doubt that both campaigns use social media proficiently. But there’s this little nagging voice in the back of my head that wonders just how much effect any of it really has. There were about 4.4 million votes cast in Texas in 2006, and it’s safe to assume there will be at least that many cast this year. Adding up all of the Twitter and Facebook friends and followers and you get less than 5% of that total, and that’s before you weed out duplicates, journalists and others with professional interests in the campaigns, out of staters, and phonies. The real story to me is not the numbers themselves but the metrics the campaigns themselves use to try to measure what the numbers mean. We all know that the 2008 Presidential election showed the immense potential of social networking in this context, but let’s be honest here, the 2008 Presidential election was sui generis. What do campaigns in 2010 and beyond aim to get out of their Twitter and Facebook and whatever the next hot new app is devotees, and how do they intend to determine if they’re getting it or not? That’s the story I want to read. UPDATE: See also this Trib story. State Senator Kirk Watson will host an online video town hall with Bill White on Monday, July 12th at 5:30pm. You can join the conversation yourself, submit questions, and enjoy a high-tech, low-key campaign chat with two of Texas’ most prominent Democrats. They’ll be taking questions in real time during the town hall via Twitter, Facebook and UStream. Or, you can submit your question now on Kirk’s Facebook wall (http://bit.ly/dmrnVa) or his Twitter feed: http://twitter.com/KirkPWatson. The event is free and open to everyone – you just need to log on to Facebook and go to Kirk’s Facebook page from 5:30 to 6:30PM on July 12 to watch or participate. BOR has more. Interesting stuff. Among other things, the Mayor mentions that a new and improved City of Houston website is on its way. I can’t wait to see it. The Saturday edition of the Chron the past couple of weeks has had a feature in the City & State section called Campaign Watch, which is a blog-like collection of short items relating to the 2009 elections. For some odd reason, none of this stuff is apparently available on the Chron.com website. Anyway, one of the stories today is headlined “County Republican Party Makes Pick”, and says that even though they basically did nothing else for him in terms of financial help or voter outreach, the Harris County Republican Party officially announced its endorsement of Roy Morales for Mayor on Friday, after only a week of early voting. Which is nice for Roy, I suppose – it’s not like he’s exactly overwhelmed with support – but you’d think the least they could do is mention it somewhere prominent. It’s not, for example, on the front page of the HCRP website, where you’d think at least a link to such a big announcement might be. It is there – if you go to HCRP 2009 Elections page and click the link on Roy’s name, you’ll see it. I nearly missed it the first time I went looking, but it is there. They haven’t used social media to spread the word, either – it’s not on their Facebook page, it’s not on the Harris County GOP Facebook group page, and it’s not on the HCRP Twitter feed. Oh, and if you take a close look at that last link, you’ll note that the whole “doing it in the Facebook with the Twittering” thing still needs a little work. Now you may say, they just announced this yesterday, give them a little time to get their stuff together. Well, except that the story says that the actual endorsement was made at their Executive Committee meeting on Monday the 19th. Roy himself announced the endorsement on his webpage on Tuesday the 20th. The HCRP didn’t bother to announce it till Friday, and this is all they’ve done with it in the meantime. Boy, with friends like these, huh? You have to wonder what Tom Lehrer would have made of tweeting in Church. Are you the unknown liberal? if big media companies really want Google to stop “stealing” their content, they can make that happen today, all by themselves. Eddie Murphy predicted the housing bubble. Well, okay, only sort of. Some people really like making Nazi analogies. I guess it’s easier than thinking. From the Department of People Who Have Too Much Time On Their Hands: Food flags. What could you do with 63 hours? In all honesty, I’d probably waste most of it surfing the Internet. Discovery Green is very green. Not everybody is impressed by Malcolm Gladwell. I too would favor a big government solution to the problem of way too loud TV commercials. No NFL team for you, Rush. Apparently, I’m a super liberal. Well, I think I’m pretty good, but modesty prevents me from going any farther than that. The Ten Worst Halloween Costumes of the Year. So far. Unless you think these are even worse. Funny pictures are the reason why God gave us the Internet. Calvin Trillin says what needs to be said. Where those Heights arson fires have been. Tony Perkins lies a lot for money. Dead people generally aren’t a threat to anybody. The Wait Wait Pumpkin Carving Contest. Surely you can do better than Pumpkin Blagojevich. Want the country to fail? There’s an app for that. The City of Houston is doing it in the Facebook with the Twittering, plus some bonus YouTube action as well. Follow BARC, various Community Affairs offices, the George R. Brown Convention Center, and more, some of which update more often and have done so more recently than others. I think this is a good idea, and would like to see more city departments do it, as well as a greater commitment to regular updates from those that are currently doing it. Oh, and I think the page should include a listing of City Council members’ Twitter pages as well. Thanks to Miya for the tip. The Chron writes about disgruntlement in the DA’s office. Harris County District Attorney Pat Lykos promised to clean house when she was elected in November and promptly fired seven senior prosecutors. Now other experienced prosecutors, including a member of Lykos’ upper echelon, are leaving, citing a lack of communication and a toxic work environment. With career prosecutors leaving without being asked, some are worried Lykos is driving away those she’d hoped to keep, leaving the office hurting for experience, institutional memory and mentors for newer prosecutors. Lykos said there is no problem. Employees leave jobs for a number of reasons, and space at the top gives rising stars room to advance. “Turnover is normal and it gives younger, eager prosecutors upward mobility,” Lykos said. Murray Newman, who used to be an assistant DA and who has been one of the biggest critics of Pat Lykos and her office around, hails the story and piles on to it. I obviously have no insider knowledge here, but in fairness it must be noted that there’s always some turmoil when there’s a change at the top of an office like the District Attorney. There’s been a certain amount of disgruntlement at the Sheriff’s office as well, with Robert Goerlitz, the Secretary/Treasurer of the Harris County Deputies Organization being a leading critic – see these two documents, which Goerlitz forwarded to Carl Whitmarsh’s listserv awhile ago, for an example. Having said that, there’s not been anything like the exodus from the HCSO’s office that there has been from the DA’s office. Even to an outsider like me, it seems clear that something different is going on there. Speaking in political terms, I’d say this is mostly inside baseball until such time as a former employee announces an electoral challenge to Lykos, or current and former ADAs publicly back an opponent to Lykos, much as the deputies’ organizations supported Adrian Garcia over Tommy Thomas last year. Until then, it’s interesting but not really predictive of anything. The next election is a long way off, after all. On a related note, I’d like to thank Murray for pointing me to the Fake Pat Lykos Twitter feed, and for reminding me again just what a goober HCRP Chair Jared Woodfill is. I guess he hasn’t paid much attention in all those doing it in the Facebook with the Twittering classes the local GOP is teaching. Council Member Sue Lovell, who is running hard for re-election after her close win in 2007, has added some fundraising muscle to her team. Houston Vice Mayor Pro Tem Sue Lovell announced today that Robert Miller would lead the Finance Committee for her campaign for re-election to At-Large Position 2 on the Houston City Council. 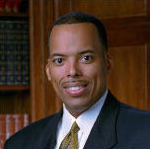 Miller is chair of the Public Law Practice Group at the law firm of Locke Lord Bissell & Liddell and a past Chairman of the Metropolitan Transit Authority of Harris County, Texas. This is a good get for Lovell. Miller’s one of those people who knows everyone and should bring with him a lot of opportunities to add to her campaign coffers. Expect her to have a strong 30-days-out report. One of Lovell’s opponents, Roslyn “Rozzy” Shorter now has a new website. She’s also on Twitter, meaning I’d better update my post. She did not report raising any money in the first half of the year, however, so it’s hard to say how much of a threat she’ll be to Lovell. Speaking of fundraising, I’ve updated my spreadsheet to reflect the fact that a number of previously missing reports are now – finally! – available online. Anyone who still doesn’t have a report up at this point is presumed by me to have not filed one. Over in At Large #5, new entrant Dr. Davetta Mills Daniels had her campaign kickoff reception tonight. You can see the invitation and sponsor list here as a Google doc. I’ll be very interested to see what her finance report looks like in October. Meanwhile, At Large #5 Council Member Jolanda Jones released this letter of support from current, former, and retired Houston firefighters. I presume that was in response to this story about female firefighters who met with Mayor White and pushed back on the charges of rampant sexism and racism within HFD. Finally, the Houston Press has a detailed report from Monday’s Council hearings on BARC that includes grades for various Council members’ performance. That’s a novel way to approach this sort of thing, and I daresay it will get some strong reactions from inside City Hall Annex. Since I brought up the subject of Houston city candidates on Twitter last week, I figured I’d put together as complete a list of such candidates’ Twitter feeds as I could, since I’d already gotten such a head start on it. Before I present that list, I just want to add as a public service to current and future candidates, please configure your account with your full name, so that when someone does a Find People search, they will get a good result. Several candidates whom I follow on Twitter could not be found by this method, which strikes me as a pretty basic oversight. Just FYI. Now then. Here’s the list, as best as I can determine. If you know of someone I’m missing, please tell me in the comments. Thanks. That’s a pretty good list, though with fewer incumbents than I would have expected. For the sake of completeness, I also searched for HISD and HCCS trustees. 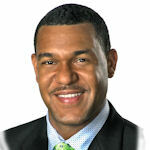 The only one I found was Greg Meyers, HISD trustee for District VI. I’d like to see that change. So there you have it. Again, if I missed someone you know of, please tell me about it in the comments. If you want more, David Ortez put together a nice list of Houston candidates’ web presences, including Facebook, Flickr, and YouTube. Hair Balls also has a good post on social media strategy briefing that the Annise Parker campaign had on Wednesday. Check ’em out. UPDATE: Via comments and Facebook messages, I’ve added Twitter feeds for Brenda Stardig (District A), Council Member Mike Sullivan (E), and Robert Kane (F). Thanks for the feedback, please keep ’em coming. UPDATE: TJ Huntley’s Twitter page is now accessible again. Asa we know, today was groundbreaking day for Metro on the North and Southeast lines. Here’s the coverage I could find: an oddly negative story from KTRK, stories from Fox and KHOU, and a story from Texas Cable News that has something near and dear to my heart, namely numbers. That doesn’t include the Main Street line, which I might add has far exceeded its initial ridership projections. The projection for the Uptown line feels low to me, but I’ll leave that to the experts to comment on. We don’t have a set route for the Uptown line in any event, and the possibility of the Universities line having multiple routes – one to Gulfton, the other along the Uptown track – is still out there, so these numbers are even more up in the air than usual. But they’ll be something to look back on in another five or ten years, so file them away for later. Urban Houstonian was at the ceremony and posted these pictures for your perusal. I’m sure something like this will eventually happen. Twitter Inc.’s co-founders say the rapidly growing online communications company will eventually charge fees for its services, but it’s unclear which ones and what will drive revenue. “There will be a moment when you can fill out a form or something and give us money,” said Evan Williams, co-founder and chief executive officer. “We’re working on it right now,” Williams said at The Wall Street Journal’s D: All Things Digital conference. Williams and Twitter co-founder Biz Stone mentioned possible revenue-generators, including a service that would authenticate the source of information. For example, Dunkin’ Donuts could pay to make sure that impostors don’t send messages under its name. Still, after nearly one hour of questions from journalists Walt Mossberg and Kara Swisher and from the audience, the co-founders gave no clear picture of Twitter’s business model. Stone demurred when asked what would be the company’s key revenue driver in two years. More venture capital? I like Twitter, I find it useful, I’ve enjoyed using it to keep up with what various friends are doing, but I don’t know about paying for it. Some things are just meant to be free, I guess. Good luck figuring this out, that’s all I can say.